Heavy duty chassis with oversized treaded wheels. Wide Mouth U-shaped opening for easy access to all gear. 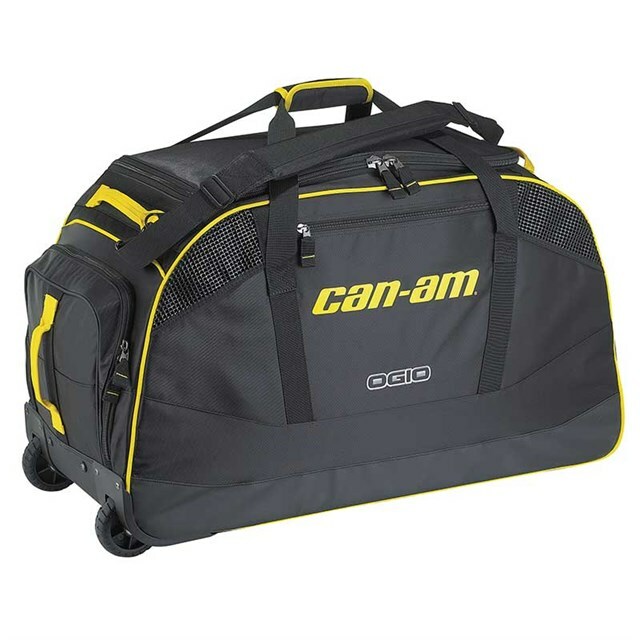 Large main ventilated compartment and multi-use dual end pockets. Secondary end pocket with accessory organization sleeves for smaller gear. iFOM† integrated foam panel construction through out for added gear protection. Telescoping pull handle and padded adjustable shoulder strap. Easy grab end handles for transport. Dimensions: 15" H x 18" W x 32" D (38 cm x 46 cm x 81 cm).